Public art is exactly that, art in public spaces. The term “public art” may conjure images of historic bronze statues of a soldier on horseback in a park. Today, public art can take a wide range of forms, sizes, and scales—and can be temporary or permanent. 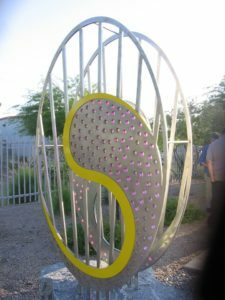 Public art can include murals, sculpture, memorials, integrated architectural or landscape architectural work, community art, digital new media, and even performances and festivals! Public art is often site-specific, meaning it is created in response to the place and community in which it resides. It often interprets the history of the place, its people, and perhaps addresses a social or environmental issue. 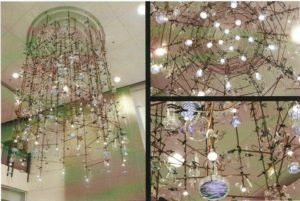 The work may be created in collaboration with the community, reflecting the ideas and values of those for whom it’s created. Being public, the art is free and accessible to everyone. Public art creates a heightened awareness in the viewer of the site of the people and the broader context of what’s around them. Today, viewers may capture a photo of the public art on their smartphone and share the work and the experience with others, extending the reach of public art beyond the site. 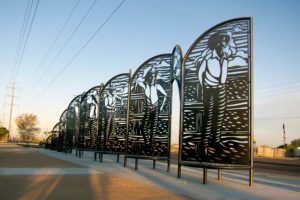 Whatever the form, public art instills meaning—a greater sense of identity and understandings of where we live, work, and visit—creating memorable experiences for all.